It’s a three day weekend! Hooray for Memorial Day, and the start of summer, and having something to celebrate. 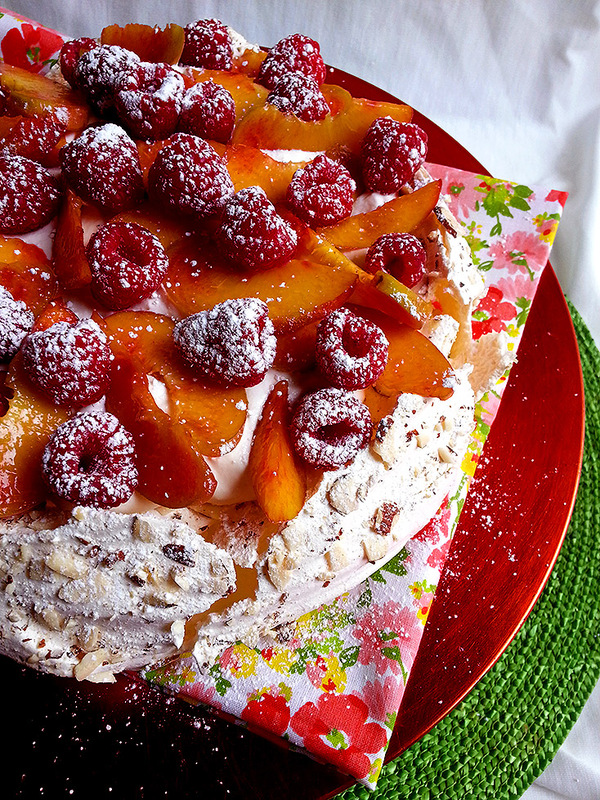 Will you have a slice of this yummy pavlova and celebrate with me? Another Valentine’s Day is nearly upon us! Last year I made these super cute chocolate tuxedo strawberries, which were a big hit for sure! I wanted to create a rich and somewhat fancy dessert for Valentine’s Day this year. I knew I wanted to incorporate chocolate into this dessert, cause what’s Valentine’s Day without chocolate? 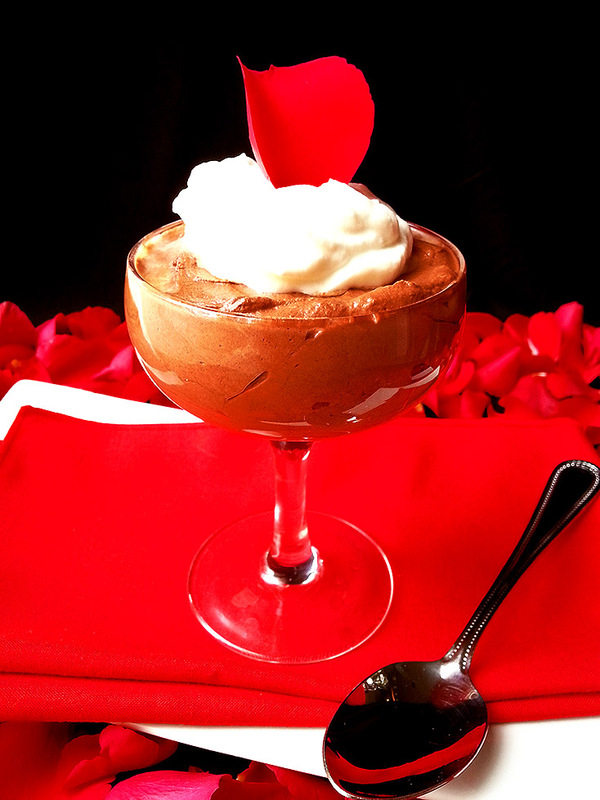 Chocolate mousse just seemed to be the quintessential romantic dessert, so I had the main part covered. When it came time to think of some sort of garnish or additional element, what’s a more popular romantic combination than chocolate with roses?